I could waste a couple thousand words about this PPV and the fallout, but I decided to be silly and put this little ditty to "paper". 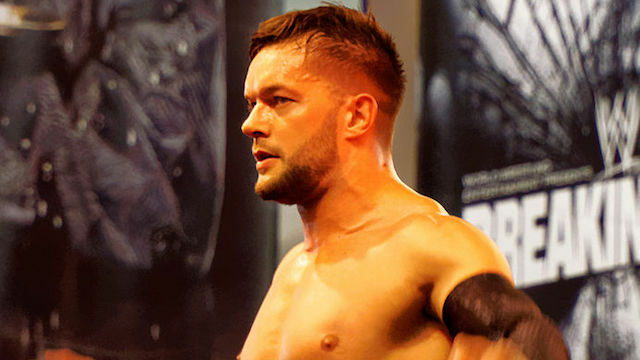 This is a tribute to a true MOTY in the first-ever meeting of AJ Styles vs. Demon Finn Balor. Not just in WWE. EVER. I'm starved for a fight, find me tonight. I want a match with you." Get in the ring, let's do this thing! Demon's winning streak gonna end! But if you lose, does the Demon take your soul? AJ went out first and said "we'll stop this show!" Crowd started roaring in his ears as he prepared himself to go. To play the Demon in! "Nah I ain't scared of you! Let's see what you can do!" For a battle Between two of the best! "This is Awesome!" "Fight forever!" Til the crowd burned both their ears. Because the match was just "Too sweet"